Odessa is a beautiful city in southern Ukraine. It is the administrative center of the Odessa area. 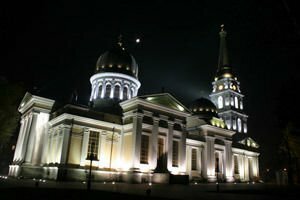 The city was an important port, situated on th northwestern coast of the Black Sea and is the fourth largest city in Ukraine. The population of Odessa is about 1 007 000 people. Odessa has the status of hero city. The territory of modern Odessa was an ancient Greek colony, whose remains were discovered in a modern Seaside Boulevard. Then, in place of the city was a Tatar village, which was founded by Haji Khan Gera in 1240. It is called Hadzhibey. After being controlled by the Lithuanian Principality, the village passed under the auspices of the Ottoman Sultan in 1529 and remained so until 1792. 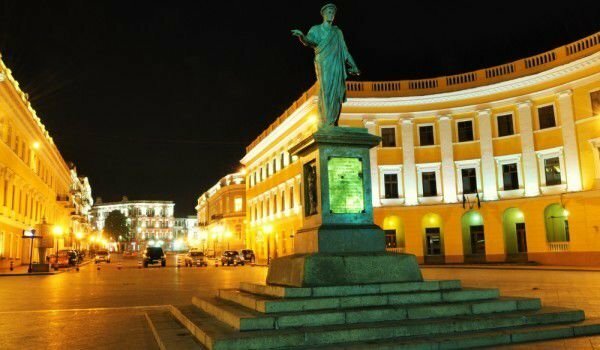 The city of Odessa was founded in 1794 by decree of Russian Empress Catherine the Great. The town was named after the ancient Greek Odessos. As people continue to call it Hadzhibey, the authorities severely punish such expression and the guilty were publicly beaten. So the new name of the city quickly became a popular. From 1819 to 1858 Odessa was a free port. During the Soviet period it was the most important commercial port in the Soviet Union. City of Odessa is managed by the Odessa City Council headed by the Mayor of Odessa. The city has four administrative districts - Kiev, Malinowski, Seaside and Suvorovski. Odessa has its own emblem, flag and even anthem. Modern Odessa has the emblem of a silver river anchor with four paws. The shield on the coat of arms is crowned with a golden crown in which stands a loop of a five-pointed star. During the Russian Empire’s rule, over the anchor was a double-headed eagle. The flag of the city is square with the emblem in the center. It is divided into three sections - red, white and yellow. 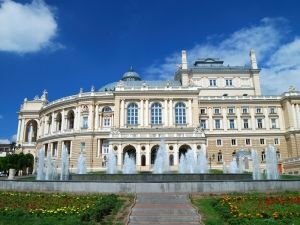 In 2011, the song "Song of Odessa" from the opera composer Dunaevski city was adopted for the anthem of the. In December 1917, Odessa was proclaimed a free city, and in 1918 the Bolsheviks carried out a military coup and the city was established under Soviet power and entered into history as the Soviet Republic of Odessa. In March 1918, Austrian troops enter the city and the Soviet government was deposed. In December 1918 into the city came other troops from the countries of the Entente - Serbian, French and Greek. In April 1919, when troops of the Entente no longer stayed in the town of Odessa entered Ataman Grigoriev and established Soviet power until August 23, 1919 when the city was again returned to the Voluntary Army troops. On February 7, 1920 in the city is finally established Soviet power. During the Great Patriotic War, Odessa’s defense fought with the enemy for 73 days - from 5 August to 16 October 1941. On the eighth of August in the city was declared a blockade situation. After the blockade, the defenders of the town surrendered. During the period from 1941 to 1944 Odessa was occupied by Romanian troops. At the beginning of 1944 the Red Army invaded the city and Romanian administration of the city was liquidated. During the occupation of the town population actively opposed the invaders. As a result, tens of thousands of peaceful inhabitants, many of whom were Jews, were executed. The tenth April 1944 troops of the Third Ukrainian Front with the cooperation of Black Sea Fleet forces liberated Odessa. Over thirty thousand people were awarded the Medal "For defense of Odessa". In 1945 the city of Odessa became a hero. In the second half of the twentieth century, through development the city became a tourist center. In the constellation Lyra is a star named ODESSA. It is numbered 7175316 KIC.